Last summer’s high temperatures and long days of bright sunshine created incredibly challenging conditions for cauliflower growers to deliver consistent supplies and quality. 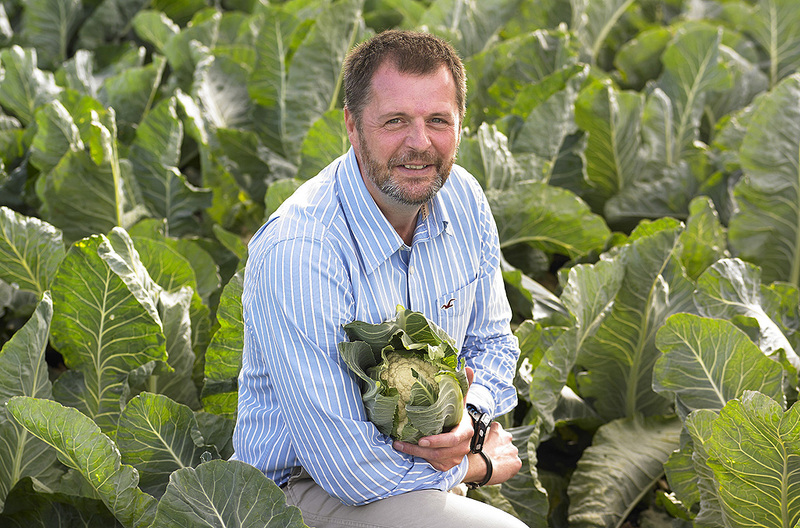 New varieties offering greater reliability in maturity and better white curd retention really came into their own under intense pressure, according to Syngenta Brassica Specialist, Louis Stokes. “We have been seeing gradual improvements, year-on-year, with new variety introductions. But with Almagro growers have experienced a step change in reliability and quality,” he reported. Furthermore, Louis highlighted the variety’s good wrap of leaves over the curd ensured a high cut out of quality heads (below) – which proved particularly valuable with supressed consumers’ demand over the hot summer seeing little market for anything but Class I quality heads. Louis also pointed out that the uniformity of the head size and appearance with Almagro reduces incidence of consumers sorting through stocks on the shelf – with a reduction associated damage and waste. “It’s now recognised that variety genetics can play a hugely significant role in reducing waste at every level of the value chain,” he advocated. “At a field level, higher marketable yields reduces waste left in the field, and makes more efficient use of all the resources employed in growing the crop - including land, water, fertiliser and labour, for example. The genetics of the latest cauliflower varieties being developed by Syngenta, including Almagro and new Andromeda - the first of the Destinica brand of Syngenta cauliflowers - have been selected to meet demands across the whole value chain. Growers are reminded that brassicas cannot be sown with a Verimark drench where new Minecto One is to be used as a foliar application for insect pests later in the season. However, for early Cabbage Root Fly control, Spinosad can still be used at planting. For cauliflowers, the primary target will be caterpillars, including Silver-Y and Plutella on the label. However, the multi-pest activity has also been shown to give incidental control of sucking pests, including Whitefly, thrips and leaf miners. There is also useful control of later generations of Cabbage Root Fly. 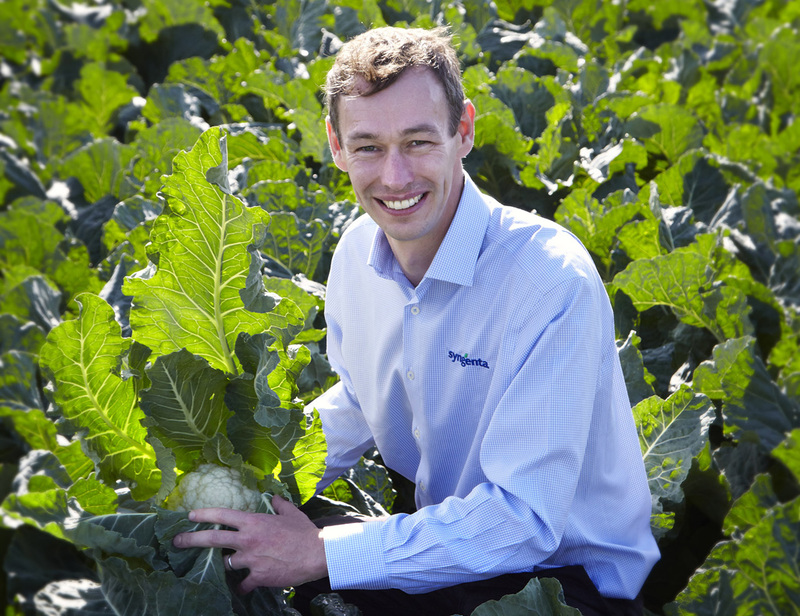 Syngenta Technical Manager, Simon Jackson, advised: “For sucking pests trials have shown results can be enhanced with the addition of methylated rapeseed oil adjuvant in the tank mix - such as Phase II, for example. Growers can make two applications of Minecto One per crop, with a minimum seven day interval between sprays. 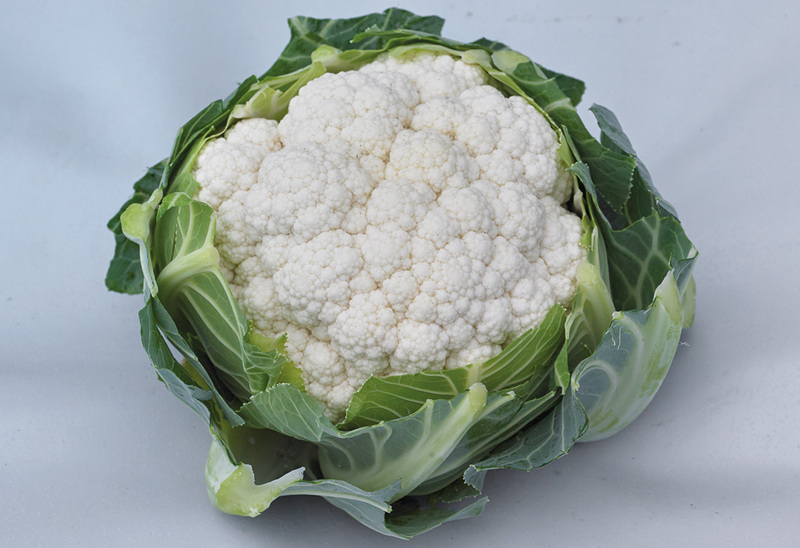 The harvest interval in cauliflowers and other brassica is an extremely useful three-days, he added. See both Almagro and Andromeda performing in the field, at the Syngenta Brassica Platform site in July. More details to be published soon.